Thank you for stopping by today!!! 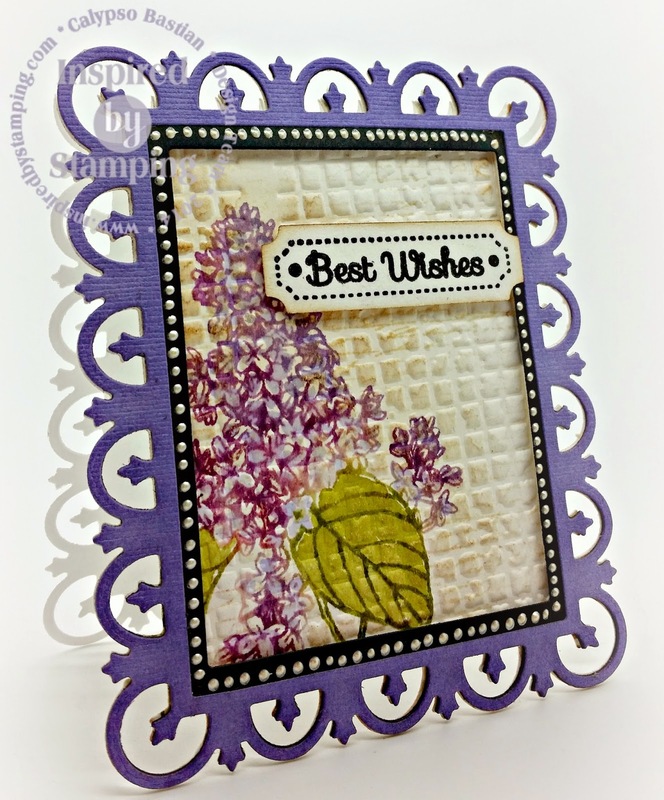 Today I am sharing a card I made using Inspired by Stamping stamp. 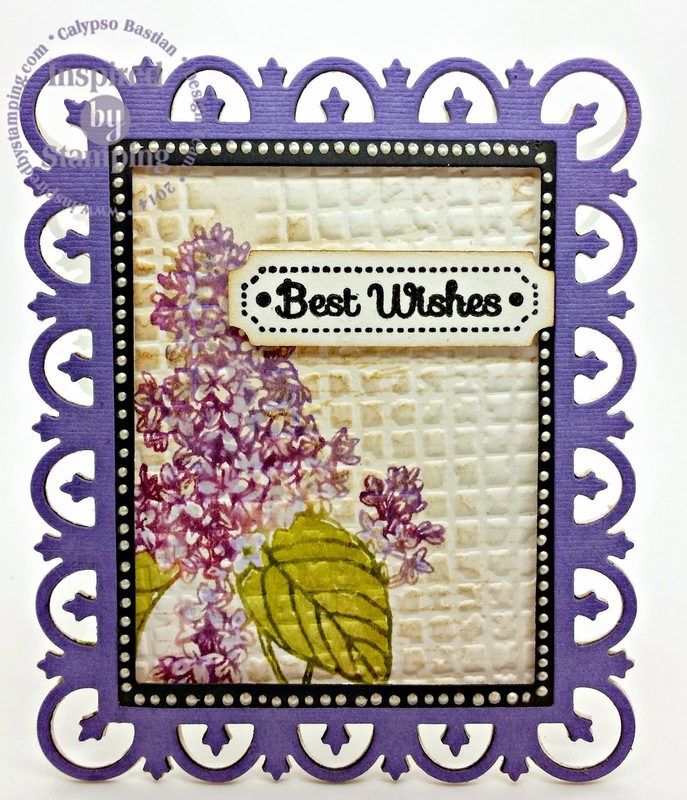 Today I am using Spring Lilacs stamp set. I love the texture on this card. I colored the Lilac stamp using my distress markers. I selected the lightest colors first, them I spritzed the image with a little water. Once it dried, I used my distress ink pads and stamped the stamp again, using the darker colors this time. I spritzed again and stamped on top of the first image. The hardest part about playing with watercolors is the waiting. LOL!!! The final step to coloring the lilacs is to add a very light color and wet brush to fill in the flowers. I did this, just so it wouldn't wash out and the lines would still be visible! After all that play with water, I embossed the image with a very textured embossing folder, added a little bit of distress ink and TAH-DAH!! :) Create the frame and added the dimensional pearls for a very glam look. Gorgeous card, love the image and the design is gorgeous. Beautiful texture and color. Thanks for playing along in our first challenge over at The Cutting Edge! Oh my - this is so beautiful! I love the soft color palette and the beautiful dimension that the embossing adds! Thanks so much for playing with us at The Cutting Edge Challenge - we're so glad you did!! Looking forward to seeing more of your beautiful work!